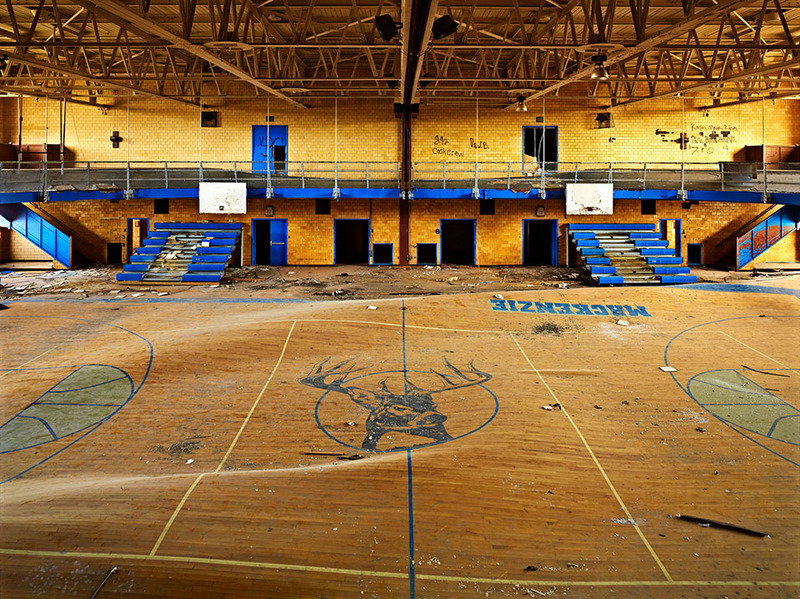 Write a story about two characters walking across this basketball court. Did they go to that high school? Did they break into the abandoned building? Are they city planners looking to tear the building down? Challenge: How can you use the abandoned building as a metaphor for what one of your characters is going through? Guy Noir, a private detective and notorious feline-hater, has been hired by a young couple (and their young daughter) to find a siamese cat named Ruby. Why is the family willing to pay top dollar to hire a private detective to find their cat? Why is the cat named Ruby? And why does Guy hate cats? In search of Ruby, Guy speaks with a cat breeder, the mother-in-law of the husband, and a cable guy. What does Guy learn from each of those interactions? When Guy finds Ruby, is it because of great detective work or pure luck? Does he share all of those details with the family when he returns Ruby? Guy Noir, a private detective, has been hired by a businessman to find a pair of missing cufflinks. What is it about the cufflinks that makes them so valuable? Guy goes to a pawn shop, an art dealer, and a barber while in search for the cufflinks. What does he learn (or not learn) from those interactions? Where does Guy finally find the cufflinks? Write about a character that’s in love with Guy Noir, a private detective. Your character first met Guy when he was working a case. Now he’s not working and his money is running out. How does your character help him find his next job? When Guy is working, he can’t be bothered. How does your character handle going days without hearing from Guy? Does your character begin spying on Guy? What does your character find? You work at a sporting goods store and there’s a new cashier who catches your eye. There’s one major problem though: you work in footwear…in the back of the store. Write about how you go about asking the cashier on a date. Twist: You must embarrass your main character twice before asking the cashier out. Write about a character who falls in love with a sailor. How did the two characters meet? Does the sailor want to stay in their job now that the relationship has started or are they looking for a way out? How does the sailor feel about life on the sea? What does the sea offer than the other character can’t? What advice does the other character get from their friends and family? Do they like or look down on the sailor? Is the issue of economic class a problem between the character and the sailor? Write about a character who falls in love with a superhero. First, figure out the genders of the characters. A classic female character who falls in love with a male superhero can be easy to think about, but what if it’s a female superhero and a male character? That can change the dynamics. Next, how did the characters first meet? Under what circumstances are the characters continually meeting? Is the superhero using their superpowers to spy on the other character? Is the other character putting themselves in harms way just for the attention? Or is the non-superhero a villain? Finally, their relationship must end. Who breaks it off and why?